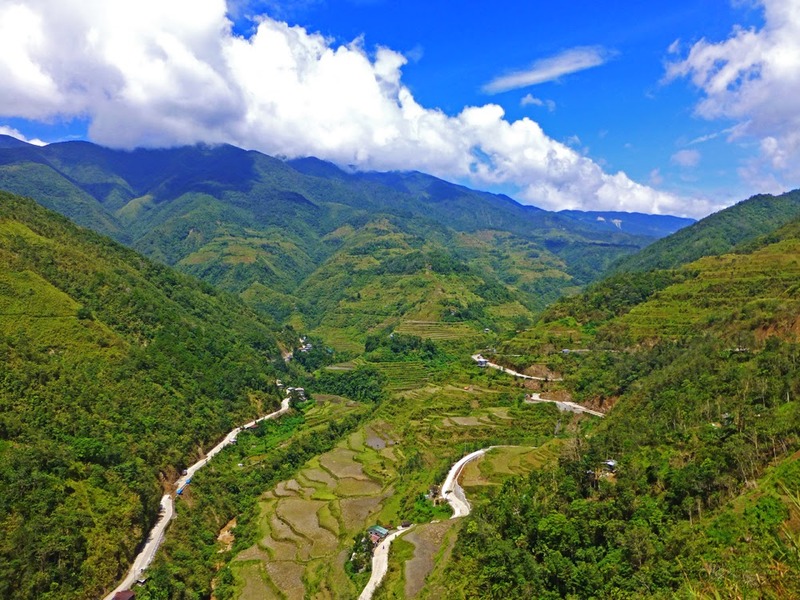 From Sagada we took two jeepney journeys south east to Banaue (pronounced Ban-ow-ee) via Bontoc (our second brief stop there). 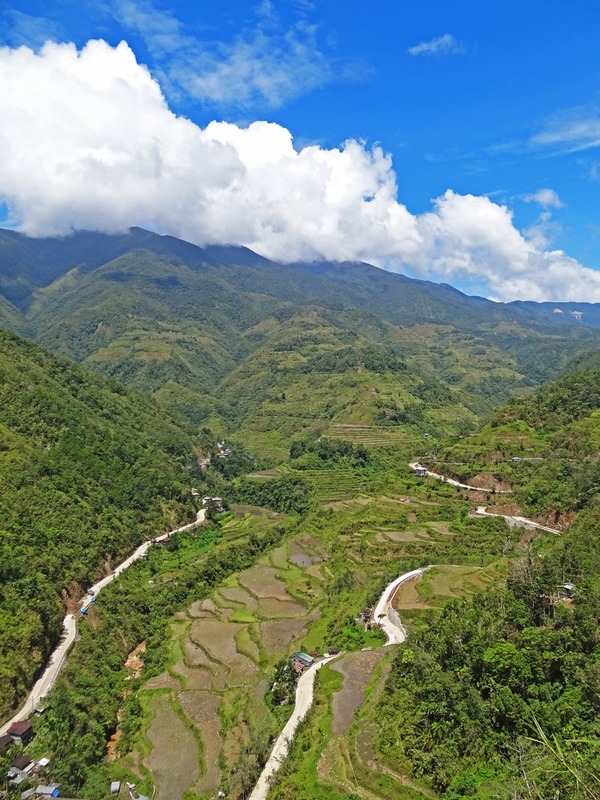 The scenery on the journey was really great, although unfortunately jeepneys (U.S. Military trucks left over from WWII which cram far too many people into the back on two wooden benches) are not particularly suitable for admiring the scenery. 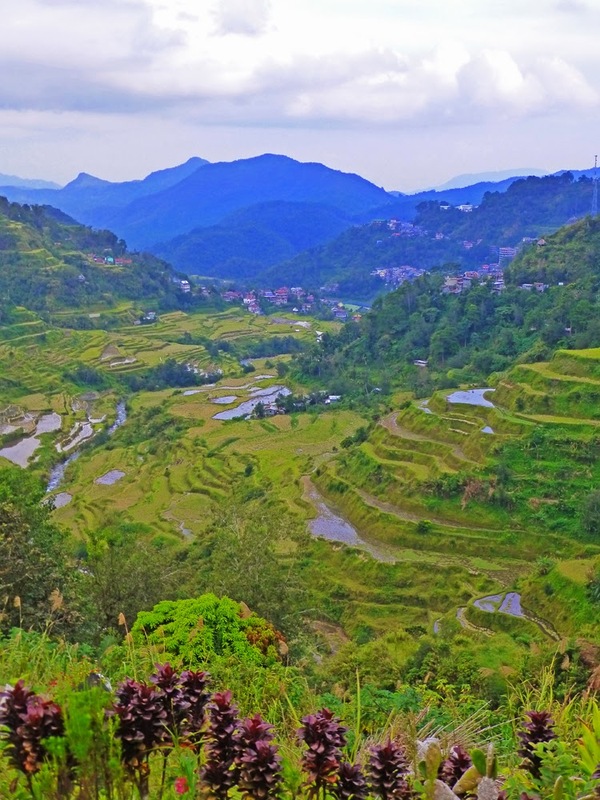 Banaue itself is a tiny town (although bigger than Sagada) situated on the slopes of the surrounding hills which would have made it quite picturesque if the weather hadn't been so bad while we were there. 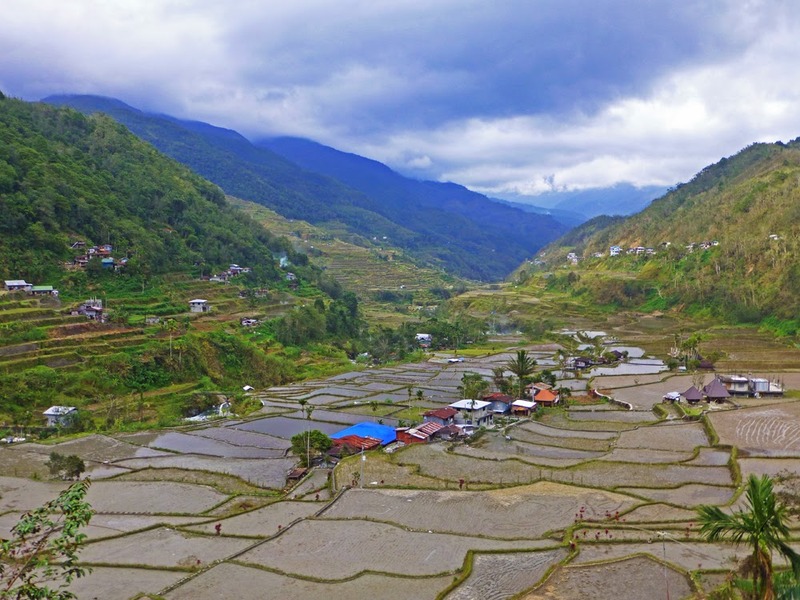 As ever in the Philippines, we weren't there for the town itself but rather for the beauty surrounding the town; in Banaue's case the beauty takes the form of the Ifugao rice terraces. 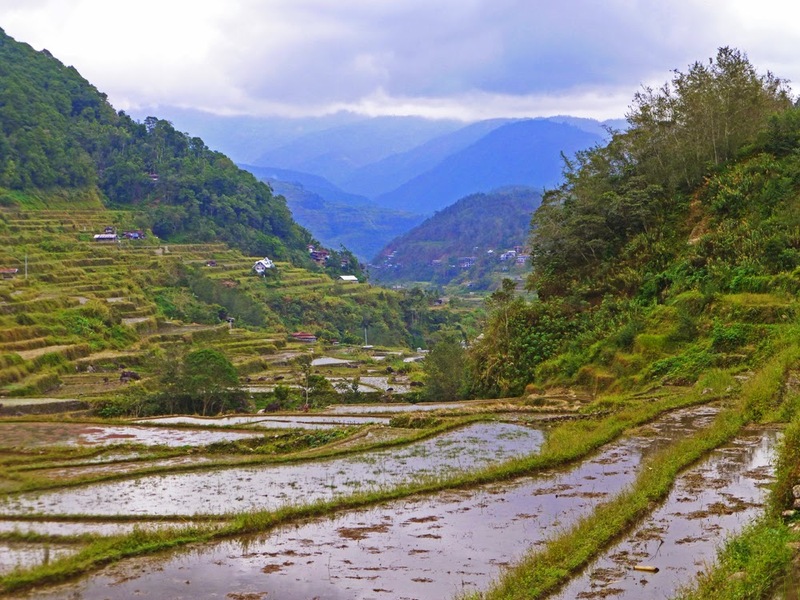 We had previously seen rice terraces in lots of different places, most notably in Vietnam, Laos, Nepal and elsewhere in the Philippines. 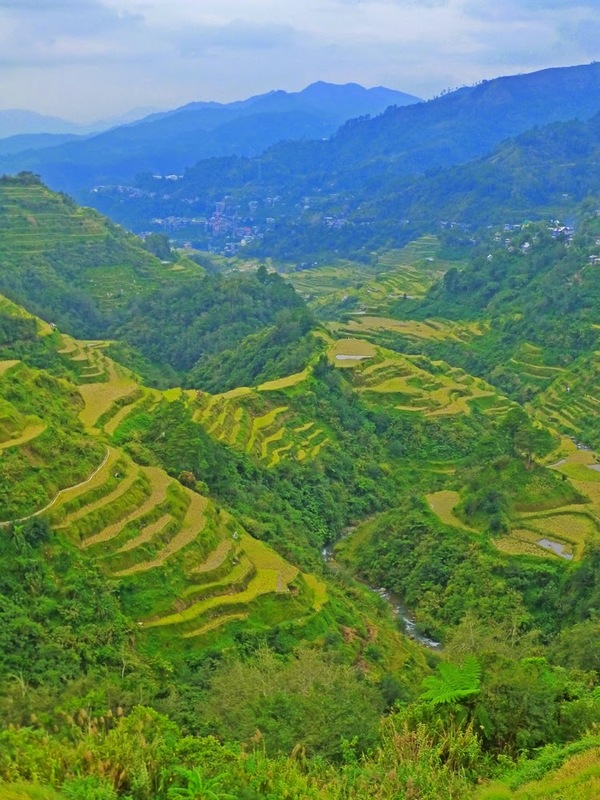 However, the rice terraces around Banaue were built around 2,000 years ago, extend several thousand feet upwards in some places, and if placed end to end would apparently go half way around the world. 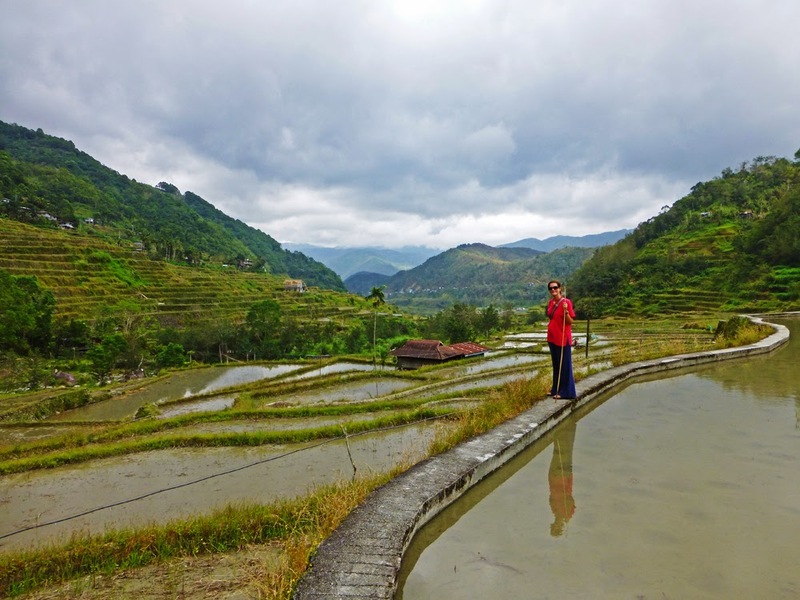 Not just any old rice terraces! 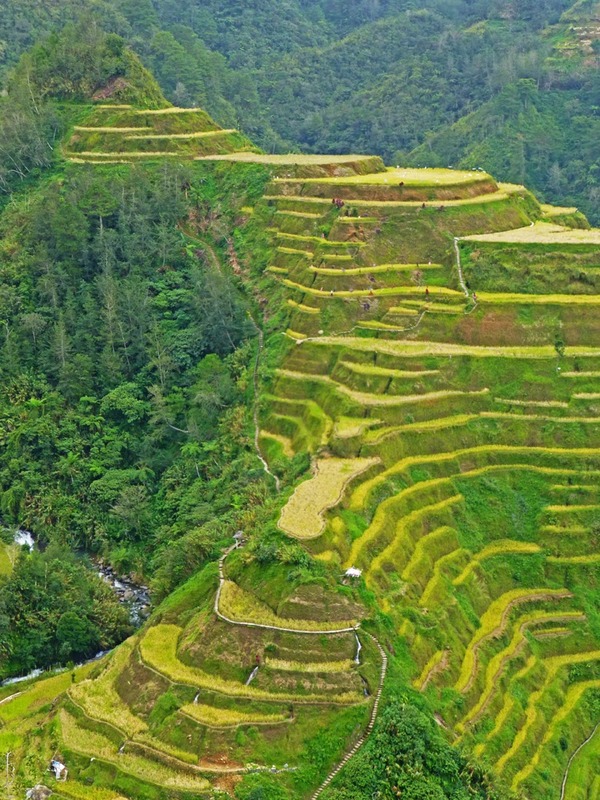 In fact the terraces are a UNESCO world heritage site and some of the locals refer to them as the 8th Wonder of the World. 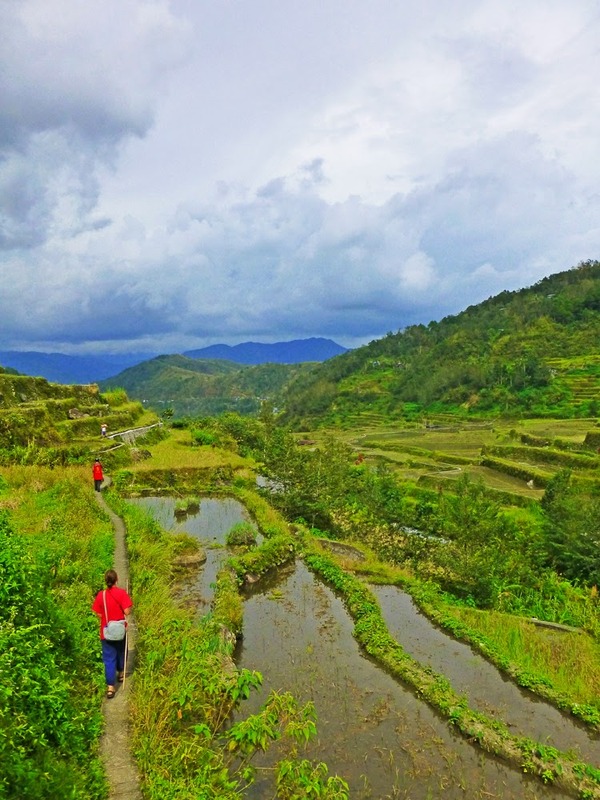 In the first of two trips to view the rice terraces we took a tricycle up one of the nearby mountains to take in the views from three different points. For a change I'll let the photos do the talking. Secondly the road we took up the mountain was pretty bumpy at the best of times, but it hardly resembled a road at all when we were there because extensive road works were in progress. 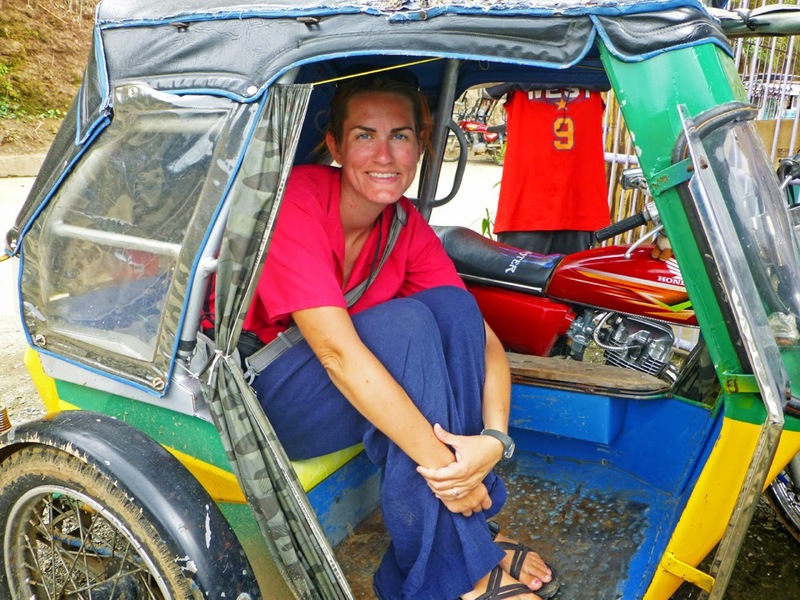 This meant that periodically the road became nothing more than a construction zone, and on several occasions we had no choice but to get out and walk to enable the tricycle to make progress. This photo betrays how spectacularly uncomfortable it was. 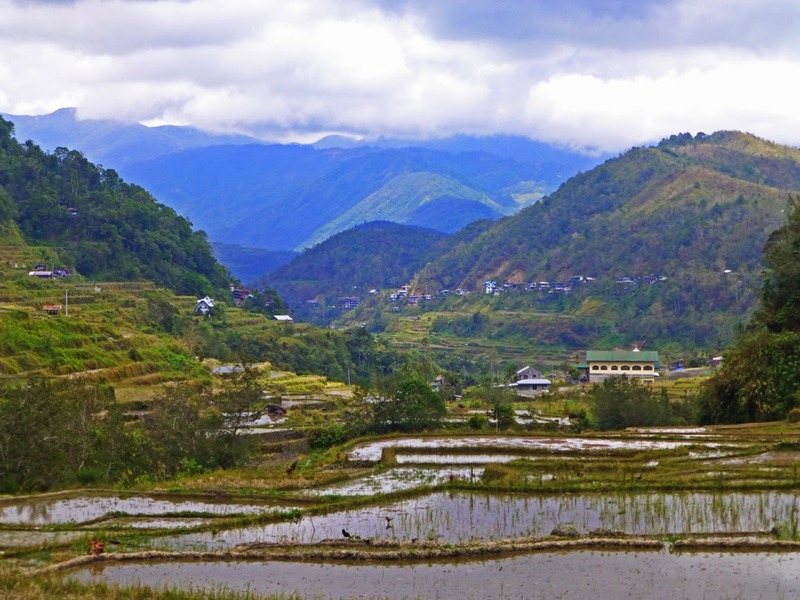 All the discomfort was forgotten, however, when we arrived at our destination and saw some more beautiful views. We then took a walk through the terraces themselves, balancing along the ancient walls which make the sides of the terraces. 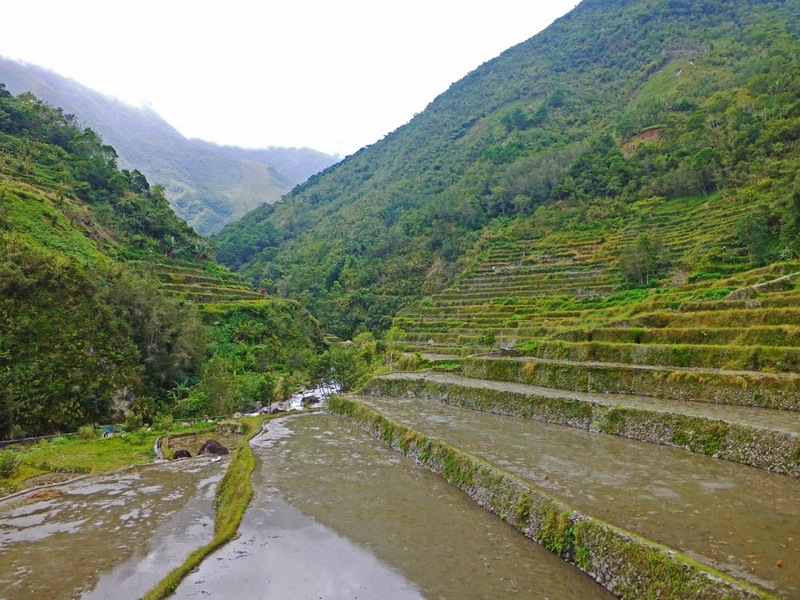 It was really remarkable to see them up close, and really brought it home how every single one of the terraces that we had seen from a distance was a great deal of work to make, and no doubt to maintain. 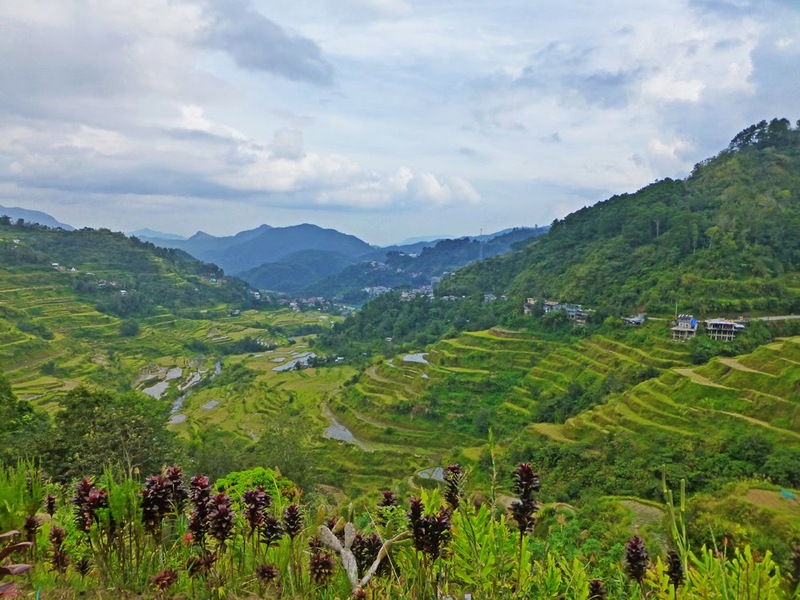 We weren't in Banaue at the best time because the rice had already been harvested so the terraces were more brown than green, and we saw very few people out working. 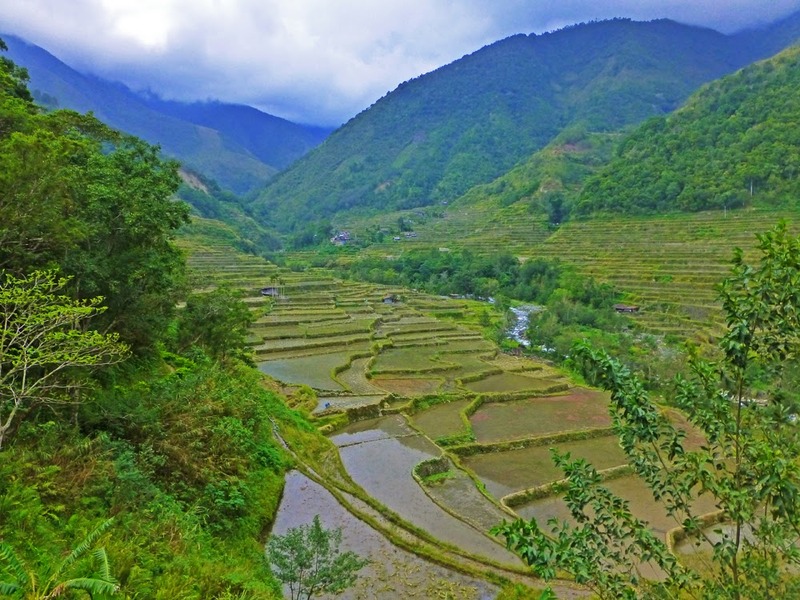 I can only imagine how spectacular it would look with 1,000s of workers harvesting the rice. 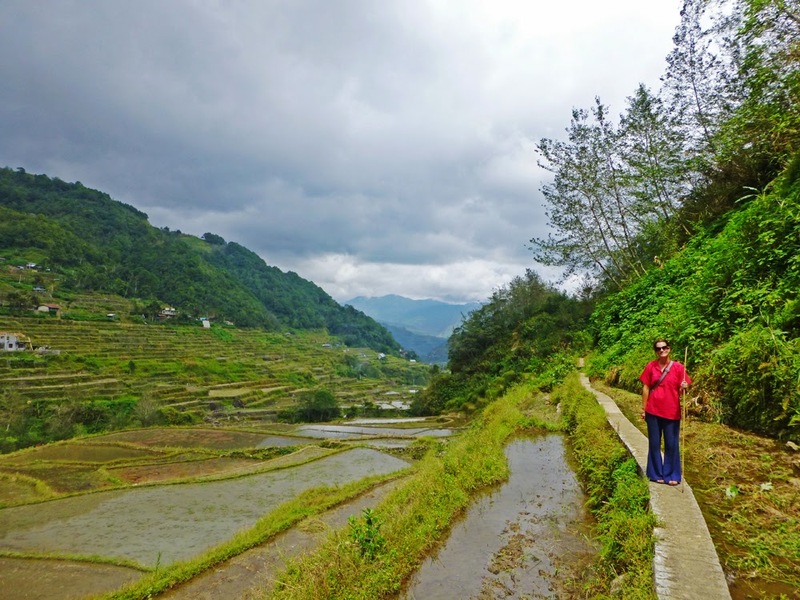 After walking through the terraces for a while we passed through a tiny village made up of just a few buildings. Just the other side of the village was a natural hot spring which the villagers had erected a low wall around to collect the water and turn it into a basic spa. The water was only about a foot deep, but we took a deserved rest and soaked our feet while chatting to our guide who showed us how the locals use a certain type of stone found locally to wash their feet. It felt really good! 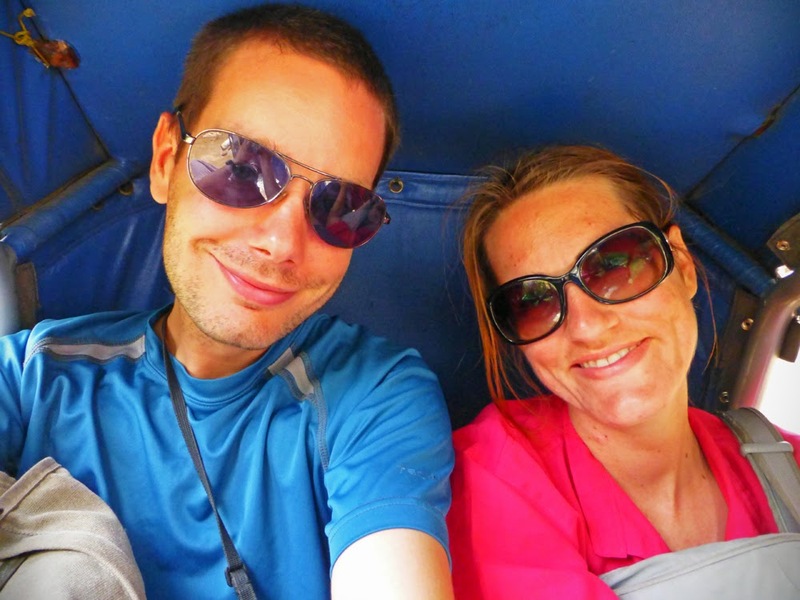 After relaxing at the hot spring for a while it started to look like it was going to rain so we made our way back through the terraces, and reluctantly got back into the tricycle for the bumpy return journey. 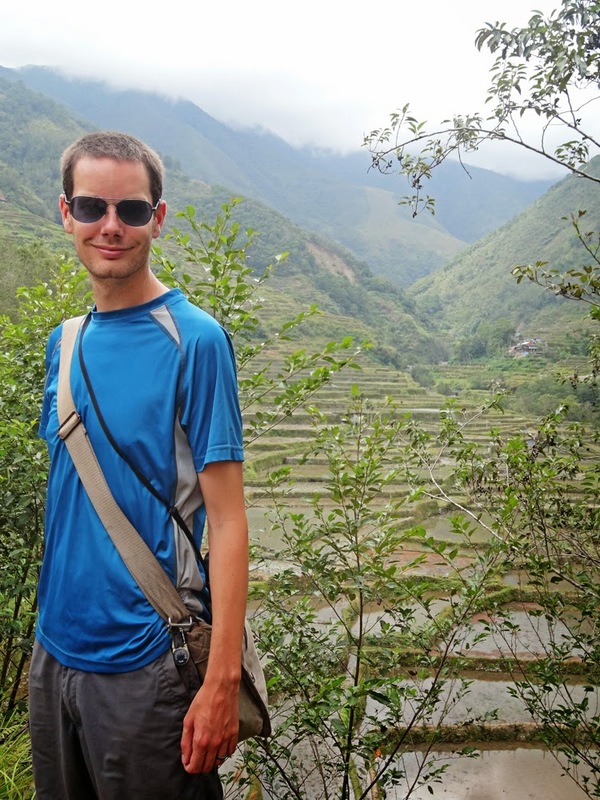 The rice terraces were undoubtedly spectacular; the photos really don't do them justice. 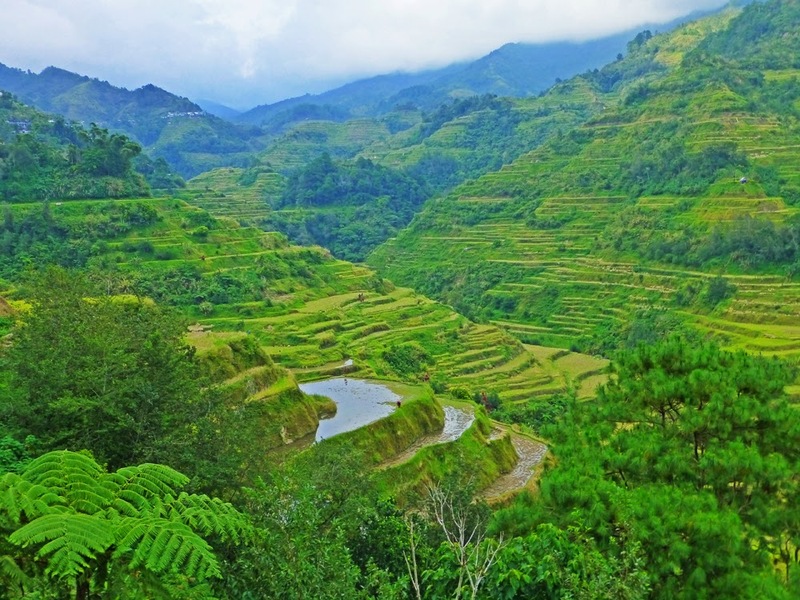 The Philippines really is one of the most beautiful countries we have visited (and that's a lot of countries when you think that the Philippines was number 50 for Monique! 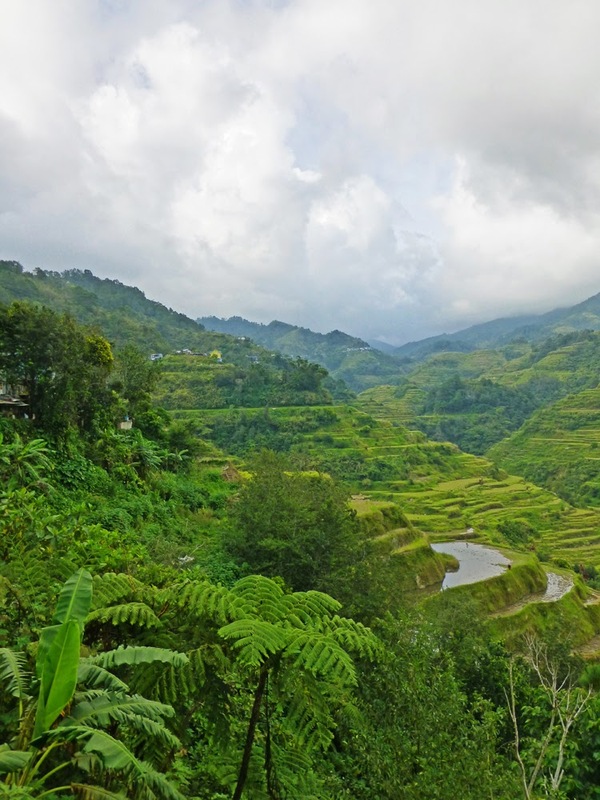 ), and the area around Banaue is a beautiful area of the country. 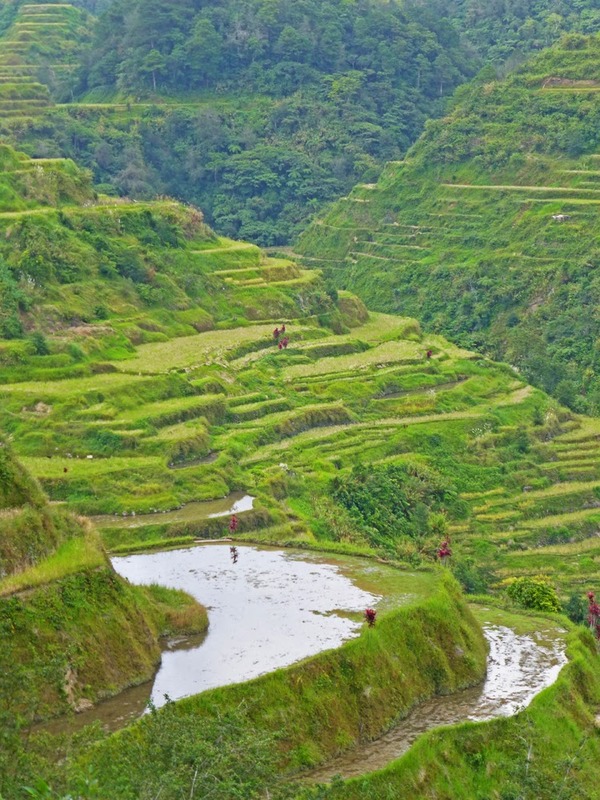 I'm not sure that the billing of the rice terraces as the 8th Wonder of the World is entirely justified (although we only saw a tiny fraction of them, and we didn't have time to make it to the most spectacular terraces which require a 2-3 day trip from Banaue due to the remote location), but they are certainly a stunning sight and after seeing them up close it is apparent that they are comparable to the Great Pyramids in terms of the amount of sheer hard work that has gone into making them. We had time for a spot of souvenir shopping to pick up some mementos of our time in such an amazing country, before reluctantly making our way back south to Manilla.